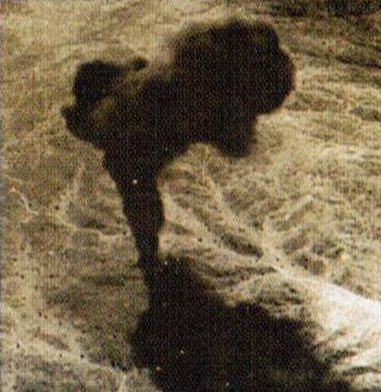 Tragedy struck during a test flight in June 1966. A Lockheed 1-104 Starfighter in formation with the XI5-70 for a photo shoot accidentally crashed into the Valkyrie, and both aircraft were destroyed. Only one of the Valkyrie crew ejected. 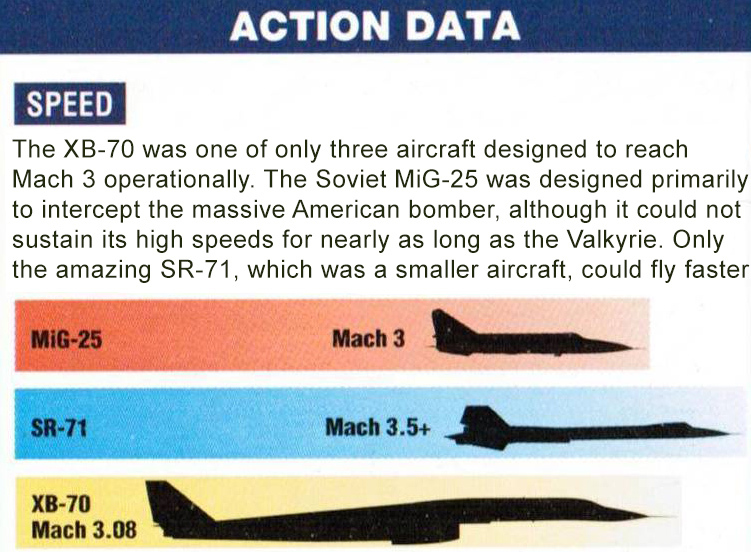 There was a political storm about the incident and the Valkyrie was cancelled, partly because new Soviet air defense missiles had, by the mid-1960s, made high-level bombers a thing of the past. The Valkyrie was a stunning piece of engineering, but the cost of the Vietnam War made it hard to justify spending more money on it. 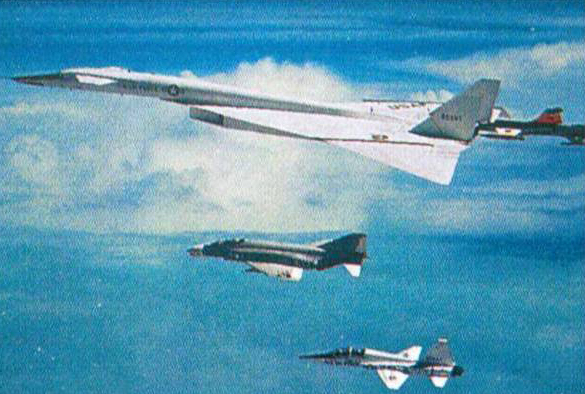 Two prototype XB-70 Valkyrie bombers were produced, flying between September 1964 and February 1969. Number 62-207 was destroyed, and 62-001 is now an exhibit at the USAF museum. Type: Prototype supersonic strategic bomber. Powerplant: Six 31,000-lb.-thrust General Electric YN93-GE-3 afterburning turbojets. Maximum speed: 2,000 m.p.h. 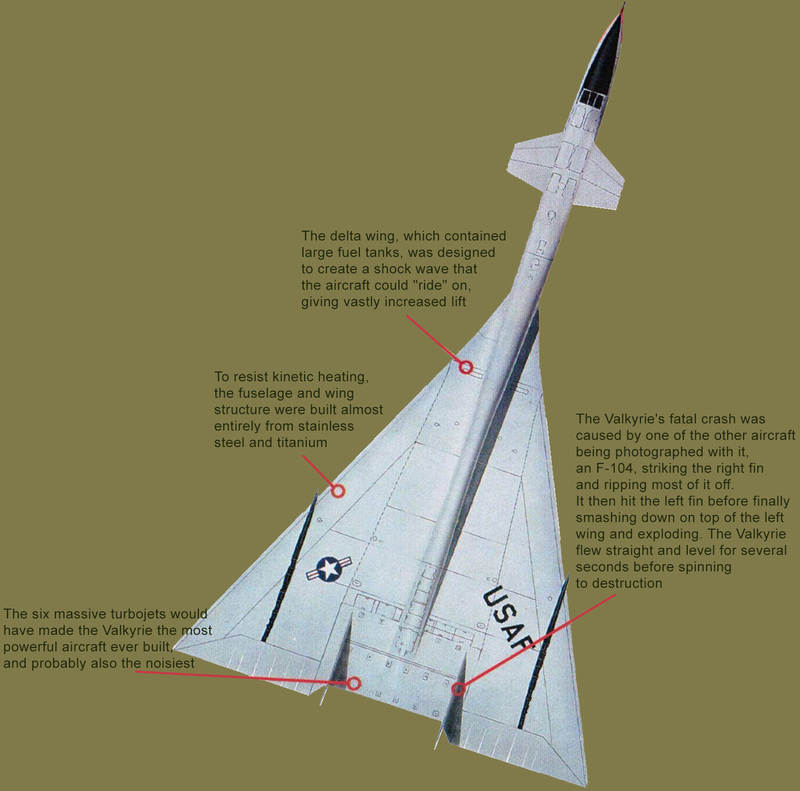 or Mach 3; test aircraft reached 2,019 m.p.h. or Mach 3.08. Service ceiling: Test aircraft reached 73,980 ft.; planned operational ceiling 82,000 ft. Weapons: No defensive armament; planned bomb load 50,000 lbs. of free-fall nuclear bombs or of conventional weapons. Weight: 551,150 lbs. max takeoff. Wing area 6,297 sq. 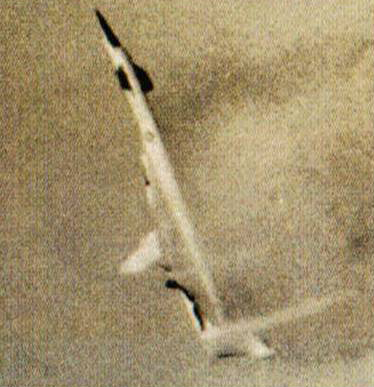 ft.
Five aircraft powered by General Electric engines were flying in formation for a publicity shot when a NASA F-104, piloted by Joe Walker, strayed too close to the massive vortex generated by the Valkyrie's downtumed wingtip, sucking it in.